Even though we haven’t seen the official press photos for the upcoming HTC Rezound, a different type of press photo has leaked of the powerful Android handset that shows it off wearing an HTC branded case. 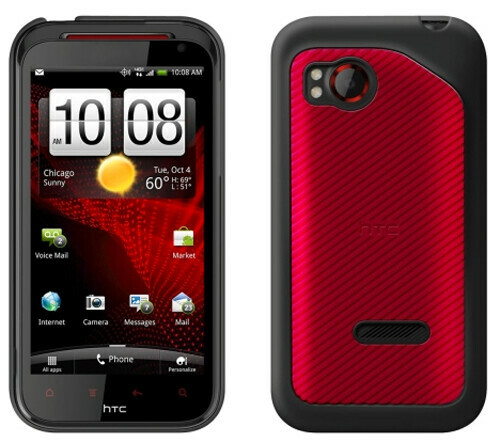 For the past couple of months we have come to know the device formerly known as the HTC Vigor quite well. We have seen it in unofficial photos, videos, renders and more. Although the smartphone is expected to be launched on November 10 on Verizon Wireless along with the Motorola DROID RAZR and the Samsung Galaxy Nexus it still hasn’t been officially introduced. The HTC Rezound is going to be quite the beast of a smartphone. Although it will not have Android 4.0 Ice Cream Sandwich when it launches it will still boast some pretty enticing specs. It is an Android 2.3.4 device that is blessed with the latest version of HTC’s Sense user interface. It will be one of the latest devices to run on the ultra fast 4G LTE network. The Rezound has a 4.3-inch display that is expected to have a 720p resolution. Fueling the handset is a dual-core 1.5GHz processor and 1GB of RAM. Of course it has a pair of cameras; an 8 megapixel shooter on the back that can record video in full 1080p HD and a front-facing 2 megapixel shooter. The two press shots that are meant to show off the HTC case at least reassure us that the HTC Rezound is what we thought it was. The colors of the case itself may not be for everybody but odds are there will be a bunch of options if this is to be HTC’s flagship device on Verizon for a while. 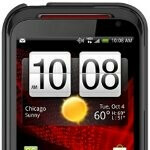 The DROID RAZR and the Galaxy Nexus have already been announced so it should only be a matter of time until the HTC Rezound becomes official. All signs are pointing to a November 10 launch so keep your eyes peeled for when the news becomes official. Still more interested in the Nexus because of the screen real estate.... but this is definitely a contender. Looking forward to official announcement! Battery life will probably be the deciding factor. Plus the nexus is 720p pentile samoled 4.65 This phone is 720p probably S-lcd on 4.3. While samoled is awesome, this phone's screen should like the iPhones but only man-sized. They used the same outdated GPU in the Galaxy Nexus (Prime), that was in the original Galaxy S & Nexus S. That's just a ridiculous error in the specs. for a device w/ that screen size & resolution, even if it is a SuperDuperSuperSpecial AMOLED Plus++-+÷π+Plus HD screen. Vigor is the better device, especially once, it gets the ICS update in 2012. I'll take a stunning engine over a so-so engine. Take away ICS & this newest Nexus is nothing special, IMO. dude that GPU is still one of the best in the game plus since we're talking about an OMAP4460 here it's much higher clocked than that of even the 4430 in the Droid 3 and Droid Bionic. it's fine. Nah, I prefer this setup. Release all the goods at once and we all get three great phones to choose from, each with its own selling points. Release them a month apart and we just end up with buyer's remorse. This season will finally give Verizon the best selection of smartphones in America. It's a good time to be a customer with an upgrade. Yea I've been holding out since July for a phone worthy of my upgrade(thought it was SGS2) and I'm currently rocking an Eris. Big things are on the way in November after having only mediocre choices all this time, it's good to see all the power phones coming out, finally. I hear ya! I am in the same boat. Can't decide at this point - and after the Eric fiasco I have been dealing with since about 6 months after I got it, I am a little gun-shy about another HTC product. Agreed! However, I am curious what AT&T will come out with for the holidays... Mr. De La Vega promised 20 new smartphones this year- Atrix, Inspire, Veer, some Huawai phone, a couple Pantech phones, LG Phoenix, Torch 2 Atrix 2, Infuse, HTC Status, Samsung Galaxy S II, iPhone 4S, and that is all I can think of. That is about 13 (and I am sure I am missing some), so we will say 15 or so. With that in mind, there are about 5 more that need to be released. So, if AT&T delivers on their promise, AT&T should have a pretty good line-up for the holidays. I am interested to see what's going to happen. If they slowed down the situation they would parallel MetroPCS's situation. Metro releases a good mid-range device very infrequently so once one comes out, everyone has it. In this case everyone who wants a good phone, isnt forced to buy the same thing. Motorola, HTC, and Samsung... do not care how the other phones sell. And VZW has an agreement with all three. I think AT&T needs to get some more 'flagship' phones.... limited options if you don't want an iPhone. SGS2 and... uhh... well, that's it?! ATT also has the atrix and atrix 2 coming out and will get the nexus im sure.... im sure they will get some goo WOS7 phones also. More choices, the better... Perfect for my upcoming December upgrade. Hope there will be a good comparison when all three phones are out. This will help me to decide which one to get. How was it navigating the Rezound? (Some people here have labelled its S3 CPU a lag-beast.) Totally envious that you've already laid hands on these devices. i''m thinking the lag is dissipating when there's a processor clocked at 1.5GHz present but that still just puts it right beyong the threshold of being bad and tolerable. Dude - I have been waiting since July with my Eris to upgrade. Is this HTC worth it? I am a SO tired of my Eris. get the droid razr. its thinner weighs less more than likely. ti omap 4460 beats snapdragon although its clocked lower its better. the droid razrs front cam can record 720p video which rezound cant. the razr is made of out a stainless steel core and kevlar. but yes if htc fan and like their products go for it. I see HTC and Motorola as polar opposites with Android. HTC is all smooth curves and a friendly UI, Moto is hard lines and no-nonsense (although still bloaty) UI. I'd recommend the Nexus over the Razr to an HTC user.